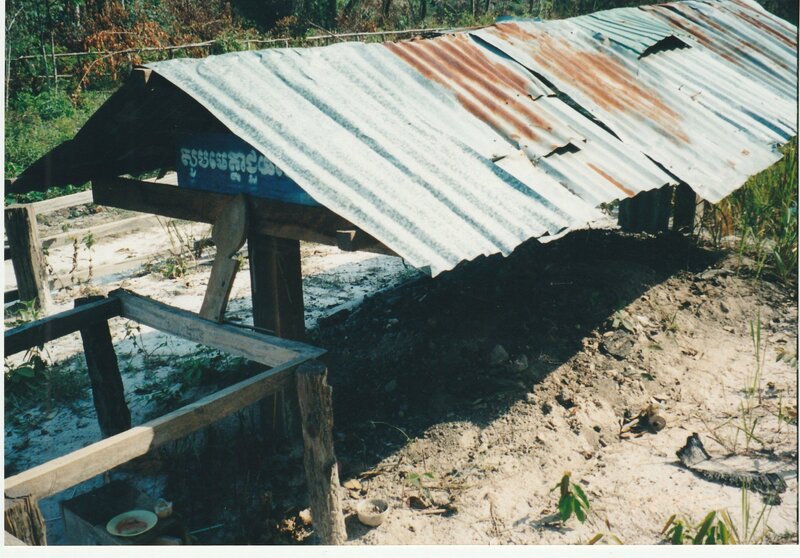 Pol Pot's grave..about 15 years ago. I would of taken a better picture except the tour guide, my friend and I were escorted to the grave site by a guy wearing a red bandana and carrying a AK 47. Also didn't get to spit like I had planned..That might not of gone over too well. It should be a public toilet. Now a Christian and didn't repent. Special spot in hell just waiting for her to show up. Should have been shot years ago, at least now she is with similar evil people. Hopefully she will have a very special place reserved for her in hell. It's too bad that she cannot be prosecuted for her war crimes as other former KR cadres were also able to escape. How they really enjoyed slaughtering their own...men,women and children.. I am not a Christian but I abide by the Biblical "Until the Seventh Generation"
You killed defenseless men.women and children? Another example as to how a religion, in this case Christianity, can appear to be the route to absolution of human atrocities..
And yet a few numbnuts on this forum wish to depart from Thailand to Cambodia.. Correct and some even promoting Latin America, the center of Catholicism in the new world . Not so good though if you happen to have been Argentinian when the death flights were in operation. A good Catholic cure, not !! They were also indirectly responsible for Hitler's rise to power and the Russian Revolution and Winston Churchill's birth also a very famous Thai person born in USA. Numbnuts? Oh no. It's better than Mexico isin't it?